Indian priests pass induction programme to work in Malaysia Malaysia News.Net Thursday 19th February, 2009 (IANS) A group of Hindu priests, musicians and sculptors from India have received the certificate of eligibility to work in Malaysia, after passing an induction programme to serve in 31 temples here. Twenty-two priests, 22 musicians and 19 sculptors underwent the programme devised by the Human Resources Ministry Wednesday at the India National Human Resources Institute here, New Straits Times said. Human Resources Minister S. Subramaniam said the induction programme, a condition imposed by the Immigration Department, was to familiarise them with the workplace, local culture and laws. ‘The induction course conducted by religious and labour experts from the Malaysian Hindu Sangam and Immigration Department was held in line with the cabinet decision last July allowing for the recruitment of Hindu priests, musicians and sculptors from India,’ he said. The participants were briefed on the country’s Hindu temple administration so that they would be able to work and communicate effectively with devotees and temple administrators. In late 2007, the government froze the recruitment of priests from India. Subramaniam brought up the issue in the cabinet following an outcry from the Malaysian Indian Congress (MIC), temples and the Malaysian Hindu Sangam. He said the cabinet also wanted Malaysian nationals to be trained as priests. There is, however, a shortage of young Tamil Hindus with knowledge of scriptures. The salaries paid are also considered low. A bulk of the ethnic Indian population numbering two million-plus comprises Tamil Hindus who came here during the British era. It forms nearly eight percent of Malaysia’s 28 million population. 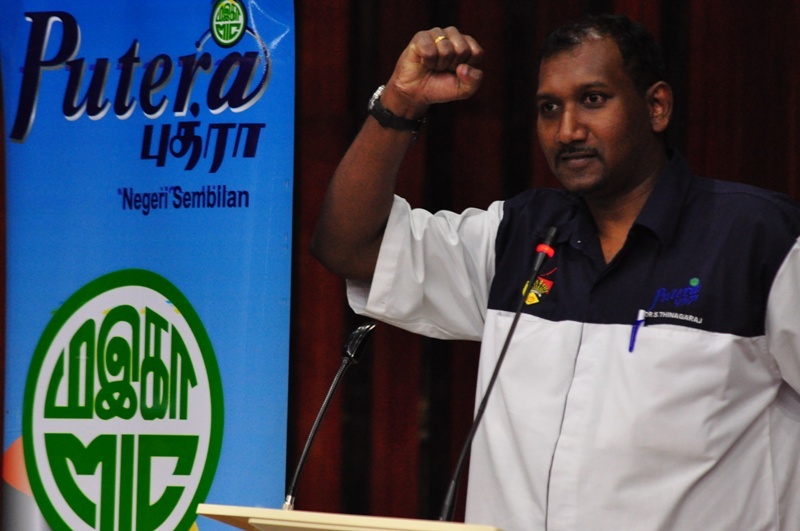 V. Sivakumar, speaker of Perak’s state assembly, has triggered a constitutional crisis by suspending Menteri Besar (chief minister) Zambry Abdul Kadir and his six executive councillors (ministers) from the assembly. ‘As they cannot attend the state assembly sittings, the question arises over whether they can govern,’ New Straits Times said Thursday. Sivakumar, Malaysia’s first ethnic Indian presiding officer, used his ‘unfettered powers’, the newspaper said of the unprecedented development that follows a political crisis triggered by a change of guard. Sivakumar said Kadir and his six members had failed to provide any explanation to the Committee of Privileges on the charge of having committed contempt of the state legislative assembly when they declared themselves as the chief minister and ministers. The suspended chief minister and ministers told the New Straits Times they believed that Sivakumar had acted beyond his jurisdiction. Kadir took over as the state’s chief executive after legislators crossed over to the Barisan Nasional (BN) alliance earlier this month, bringing down the earlier government of Pakatan Rakyat (PR), the alliance that is in the opposition at the federal level. In a four-paragraph statement issued Wednesday evening, Sivakumar ordered Kadir to be suspended from the assembly for 18 months and the others for 12 months, with immediate effect. The six ministers are Ramly Zahari, Saarani Mohamad, Zainol Fadzi Paharuddin, Mah Hang Soon, Mohd Zahir Abdul Khalid and lady member Hamidah Osman. Sivakumar was elected when PR had the majority support. He has unlimited powers under the Standing Orders of the Perak legislative assembly. There had been speculation over how he would act after the government changed. Sivakumar refused to speak to the media after he issued the suspension order and attempts to get close to him were hampered by his ‘bodyguards’. Kadir and his ministers have been asked to appear before a legislative committee headed by a member who belongs to the Democratic Action Party (DAP), a PR constituent. Another development related to this crisis has been the demand by the Malaysian Indian Congress (MIC) a constituent of the ruling BN that Sivakumar be removed and another ethnic Indian be made the presiding officer. MIC is the largest party of ethnic Indians who number over two million, forming eight percent of Malaysia’s 28 million population. The Indian Progressive Front (IPF), which claims to have some 300,000 Malaysian Indian members, plunged into a crisis after the Registrar of Societies declared as void the election of Puan Sri Jayashree Pandithan as party president on 14 Dec, 2008. Among others, Registrar Datuk Md Alias Kalil, in a letter to the party dated Jan 30, 2009, declared that the appointment of Jayashree was not in accordance with the Societies Act 1966. He also declared void the suspension of deputy president V. Senggutuan and vice-president M. Mathyalagan and the show cause notice issued to 12 IPF supreme council members by Jayashree last year in December. Contents of the Registrar’s letter was released to the media by Senggutuan here Saturday. “The ROS in the letter also declared that the IPF general assembly held on Dec 14 was unconstitutional. The letter also states that all those suspended be reinstated to their original position failing which action would be instituted under Section 13 of the Societies Act. “With the clarification, Puan Sri Jayashree is no more the party president. I have been reinstated as deputy president and thus I would take over as acting president of the party. Prime Minister and Barisan Nasional (BN) president Datuk Seri Abdullah Ahmad Badawi has been informed of this,” said Senggutuan. 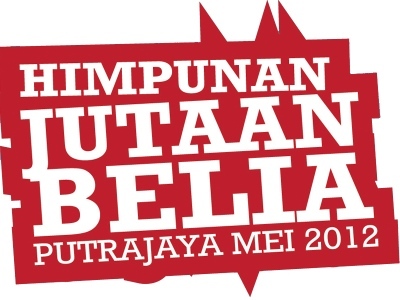 Although IPF is not a BN component party, it supported the ruling coalition. The letter also said failure to abide by the rulings would result in action being instituted against the party under Section 13 of the Act. The section would allow the Registrar to cancel or suspend IPF, a splinter party of the MIC, as a registered society. “Basically it means that if the orders of the Registrar are not followed, then the IPF can be deregistered. I would be calling for a meeting of the old supreme council and decide on the next course of action of the party,” he added. At the Dec 14, 2008 IPF general assembly Jayashree was returned unopposed as party chief; while K. Murugiah was elected deputy president; and M. Sambanthan, S. Visvanathan and K. Naducheralathan, the three vice-presidents. It also named K. Velayuthan as party secretary-general and M. Thirumugam, treasurer. The IPF leadership tussle began in May 2008, soon after the death of its founder Tan Sri M.G. Pandithan, who was MIC vice-president before he quit the largest Indian-based political party in the country, to form IPF nearly 20 years ago. Pandithan passed away on April 30 after losing the battle to cancer. On Nov, 10, 2008, the IPF supreme council, headed by Jayashree, issued a three-month suspension order against Senggutuan, Mathyalagan and Youth chief R. Ravi Shankar. Senggutuan was alleged to have violated party regulations while Mathyalagan was said to have issued contradicting press statements detrimental to the party leadership. Ravi has been asked to relinquish his post as he was declared bankrupt. Mathyalagan, who filed a law suit against Jayashree’s appointment as IPF president, failed in his bid to stop her from continuing after the court ruled on Dec 26, 2008, that section 18C of the Societies Act stated very clearly that the court could not entertain or determine any suit, application or proceeding on any ground in relation to party decisions. The suspended leaders had also lodged a complaint to the ROS against the actions against them by Jayashree and the new supreme council and Md Alias’ letter was in reply to the complaint. Yesterday, Jayashree filed a suit against the ROS in an attempt to squash its latest ruling. The charges raised against Manipal University are nothing short of a scam. Each of the colleges are allowed to admit only 250 students annually. In reality the colleges have been admitting an additional 250 students who get their degrees from the Melacca medical college in Malaysia. That apart, an unspecified number are admitted from a medical college in Antigua, West Indies. There is even a dental college running without permission. In all, the estimates are that the number of students using facilities meant for 250 students is well over 650. The centre says the colleges can have their recognition back if they make amends. This will cause concern to the MBBS students already admitted. Manipal may be considered one of the better medical colleges in the country but the fact is even as the Government looks the other way, India has one of the maximum number of medical colleges in the world. I am a student at KMC Mangalore..
As far as I know colleges at Manipal and Mangalore are separate and each of them has 250 seats. Making a total of 500 seats. I dont know what the current exact strength of the new batches are. But each batch of 250 is divided into 2 classes of 120 to 130 students. There cannot gross increase of more than 10 to 20 students in each class because the class would become too crowded. None of the classes are are crowded. Then about the dental college. It is called the Manipal college of dental sciences(MCODS). it has two branches, one in Mangalore and one in Manipal. it yearly admits around sixty students in each branch. Here in Mangalore they have one building separate from the main hospital, devoted to the dental college alone. They have just recently shifted from the old building at light house hill to a new absolutely sepectacular one in Attavar. So, what the above report clams is definitely false. They themselves have told in the first paragraph that each college has 250 seats( total 500). In the next they have told that there is only a total of 250. And why is there such a big publicity for this .. almost every news paper in the country has this as a main news. The Union Health ministry website recognizes KMC Mangalore and Manipal.Claims made by the media that it has been derecognized are not true.It is the MCI which has recommended derecognition,but it cannot derecognize the colleges as it is only a recommendatory body. Sudden Derecognition of MBBS Manipal Colleges is shocking. What will be the fate of students undergoing course and many who have taken admission this year, anyway lets hope our Malaysian Goverment will take this matter serious and help our Malaysian student out of this problem.